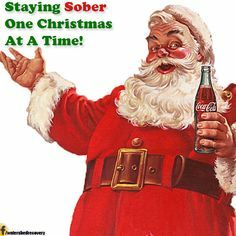 Last year was my first clean and sober holiday season in years. It was the first holiday season I would confront, still pretty fresh outta rehab. It was also the first holiday season I would spend with my children and family after being away for so long. To the outsider looking in, it would appear I would have had so much to be excited about, but in reality, I was nowhere near excited. I was overwhelmed with anxiety and an addict’s worst nightmare: boredom. In the year’s prior, I had something to take the edge off, relax my anxious condition. This time, I would have nothing. No drugs or alcohol. I was approaching six months clean and still floundering in my new life quite a bit. Shopping, planning, and showing up for things on someone else’s time line was still a challenge for me. All I had was my job and part-time visitation with my children combined with too many days off of work for Christmas vacation. I was isolated and bored. I was despondent and afraid. I was excited and felt engulfed in guilt at the same time. Guilt was overshadowing everything because the year before, Christmas of 2013, I spent Christmas alone in a motel room crashing from a drug-induced binge. To date, I cannot recall what I did for the New Year’s Eve and New Year’s Day that followed. I did not see or speak to my children, parents, sister, or nieces that year. I was so caught up in my own selfish feelings of not being able to see my boys, I denied my own parents of seeing their child. There were not gifts, cards, or decorations. I was in a seedy motel with people I could hardly call friends, much less family. I felt guilty for the years I was there in body but not in spirit. I felt guilt for the memories of holidays that were saturated with drinking and drugs. Guilt was eating me alive, like a cancer, until I realized I can’t go back and undo any of those things. I can only prevent them from happening again. So, I pushed the guilt aside and went on with the rest of my holiday enjoying every moment possible with my family. Even though I had nearly six months of recovery under my belt, I was still not feeling totally free from the chains of my past. I was still getting used to the idea of being sober – forever. I will admit, I even missed my old life at times. I felt boring, like I’d lost my edge. I lost my bad-girl image. This was hard to accept. Looking back on it now, I was just missing the idea of my using days and the lack of responsibilities. Nevertheless, I was committed to recovery, so I did what a lot of people do in the beginning: white-knuckled it. I was determined to stay clean and sober, no matter what! And just as Christmas brought the guilt, New Year’s brought the boredom. Sure, I had had some sober New Year’s Eves. I have children. I’ve been pregnant on holidays, but for some reason, I could not remember what those were like. Last holiday season, I felt like I was literally taking the days one minute at a time, sometimes by the seconds, while I was continuously convincing myself I was missing out on nothing. I have these little conversations with myself, inside my mind. I reminded myself I can do this, I can stay sober, picking up and using is not worth it. One glass of wine or champagne is not enough for me, and it won’t end there. I reached out to my sober friends on social media. They showed me I was not alone; I was not the only sober person in the world on New Year’s. During this particularly vulnerable time, I was also very cautious to identify and avoid my triggers. I was fully prepared to sit at home alone and go to bed at 10pm, if that was what was necessary. Clubs and dinner parties where I knew alcohol would be present was not on my agenda. (In the event this situation ever becomes unavoidable, I’m sure to have a clear “escape” plan.) I surrounded myself with people that supported my recovery and spent as much time near my children as possible. I’m very fortunate my family does not include alcohol in their holiday celebrations. I recently had a friend encounter this challenge with his own family. When asked if he would be coming over for Christmas Eve, he politely asked his family if they would mind keeping the alcohol put away for an hour or two. If the presence of alcohol makes you feel uncomfortable, have an escape plan or a list of trusted friends you can call, if necessary. Keeping your recovery in tact is your number one priority. As far as avoiding drugs, just stay out of those slippery situations. There is no reason to revisit the former establishments (or trap houses) of days gone by. This year, I plan to volunteer at a local charity or soup kitchen with my “free” time off of work and out of school. I plan to go to the gym and continue my regular running routine. I also have plans to run a Hair of the Dog marathon on New Year’s Day. I cannot fathom showing up to run a marathon at 7:30am after being out all night or hungover. I have a list of books I want to read and few movies I’d like to see with all this extra time on my hands. I also have a friend new in recovery I’d like to go to a meeting or two with to show my support. My name is Candace and I’ve been good this year Santa! 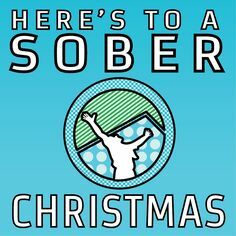 I am a recovered addict since 6-17-14 and all I want for Christmas this year is to keep my sobriety alive!